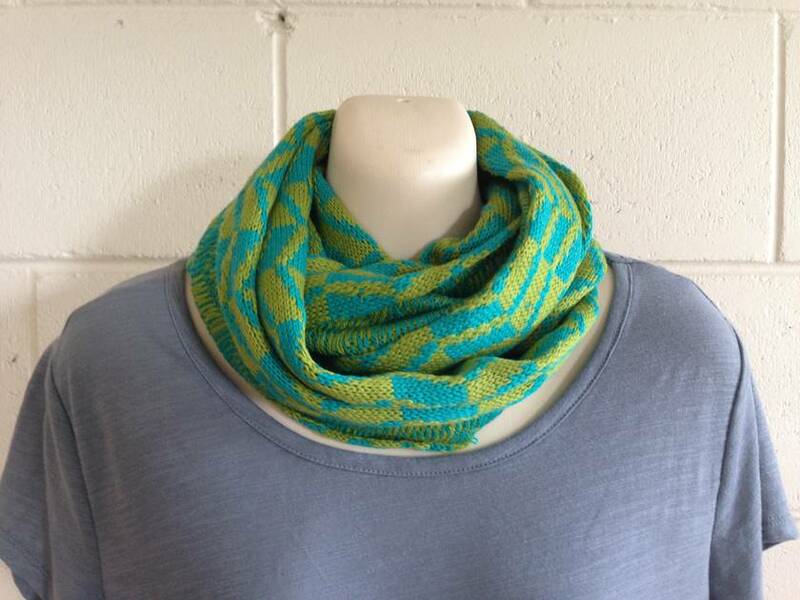 This infinity scarf is made from very fine 100% machine washable merino yarn and has an almost silky texture. 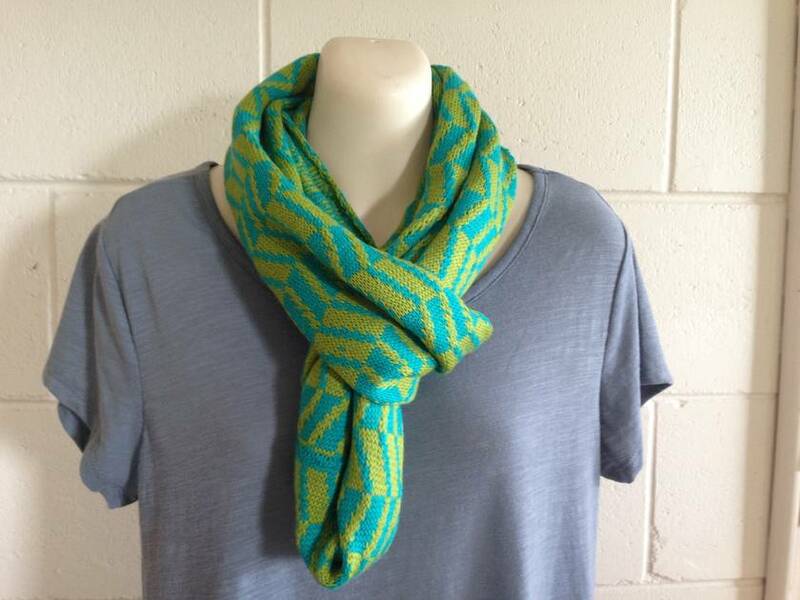 It is handmade on a knitting machine in fair isle technique in a very strong combination of lime green and turquoise. 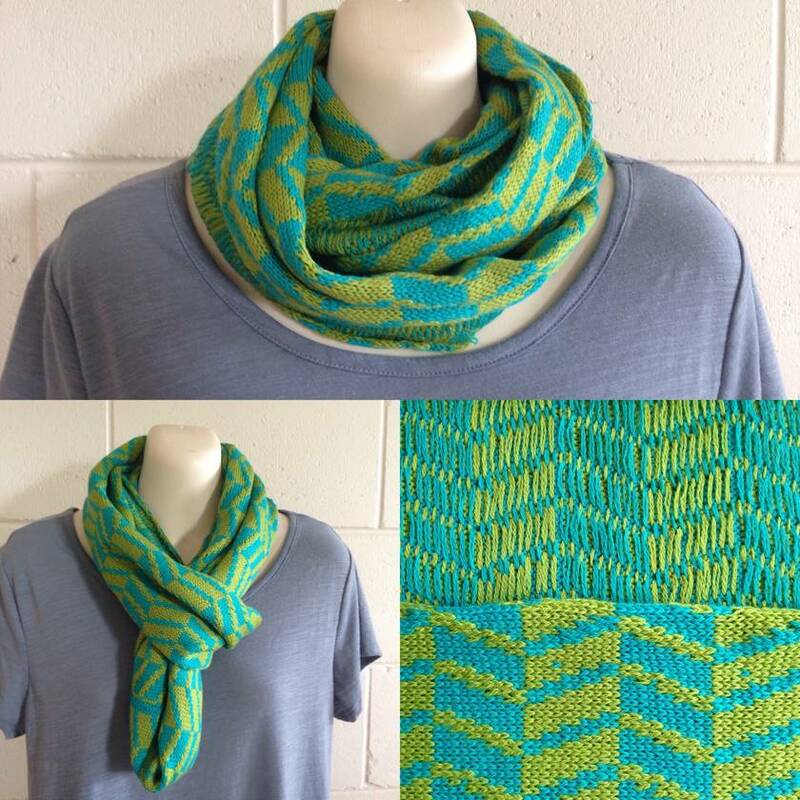 The colours look stunning together! 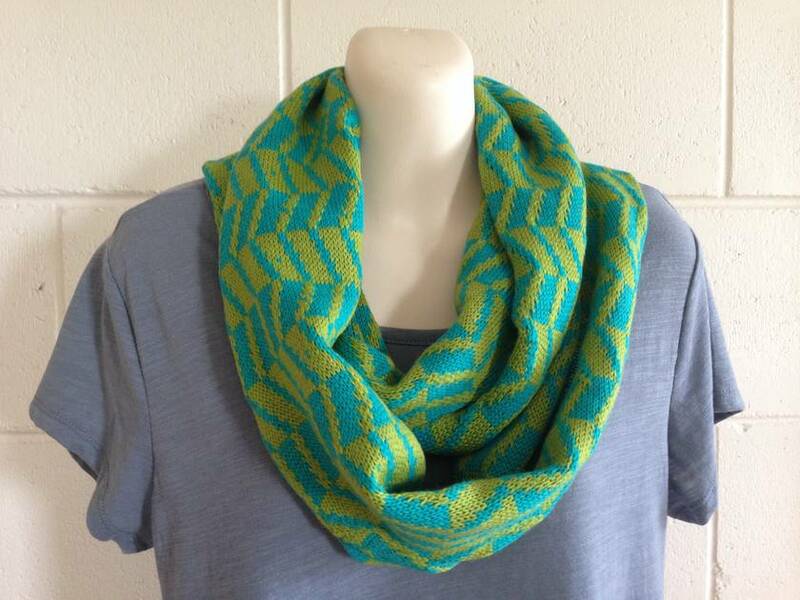 It is great for all seasons as you can wear it loosely around your neck when it's warm (even works as sun protection on your neck) or you can pull it closer or wrap even three times on a cold day.